On February 21st, I spoke to Reena Shadaan, an activist with the group International Campaign for Justice in Bhopal (ICJB). On February 20, the United Nations-designated Social Justice Day, the ICJB delivered an open letter to the United Nations headquarters in New Delhi and New York. In the letter, the group calls upon UN Secretary General Ban Ki Moon to help rebuild the city of Bhopal, which has never recovered from the disaster 30 years ago. The letter also calls on the Secretary General to terminate Dow Chemical Company’s membership in the United Nations Foundation in light of its refusal to help in the cleanup of toxic wastes still sitting around the abandoned factory (Dow bought out Union Carbide, the original owners of the Bhopal plant). This is the 30th anniversary of the toxic gas leak from the Bhopal plant, which was/is the worst industrial accident in history. I’d like to pretend I planned this convergence on theme, but I am the simple artist, etc. It was strictly accidental. I heard about the Bhopal protest through a friend in the protest industry, and the Charleston interview came about as a result of a friend of mine who has roots in West Virginia. But now that I look at the two stories together, I realize that West Virginia and Bhopal probably have a great deal more in common than they’d suspect. In both cases, a beleaguered and poor local population has been poisoned by industries whose political connections make it impossible to get redress. There seems to be no way to correct either circumstance as long as powerful interests have ways to shut down dissent. And remember–per my reporting on the Jeremy Hammond case, Bhopal activists were in corporate cross-hairs. In the leaked documents from Stratfor that ended up in Wikileaks was the information that Stratfor had helped Dow Chemical identify key players in the movement for justice on behalf of the victims. 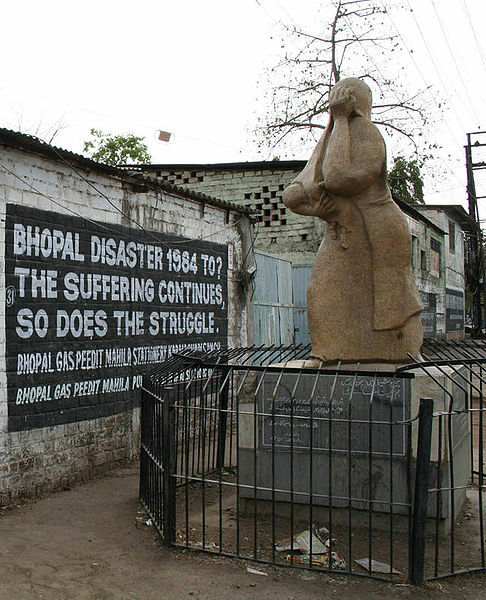 The people of Bhopal (and India in general) have more than a little bit in common with the people of West Virginia. Maybe some folks should sit down over coffee and samosas.